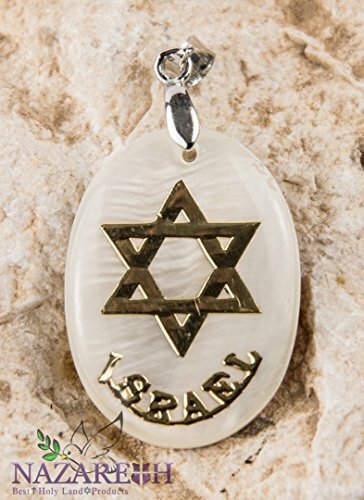 Beautiful Messianic Star Of David Menorah Fish Illustration Handmade Clear Coating Over The Whole Pendant So the Emblem Won't be Caught on Anything or similar Circumstance. Fit on every Necklace Original Handmade From Nazareth Holy Land Israel. 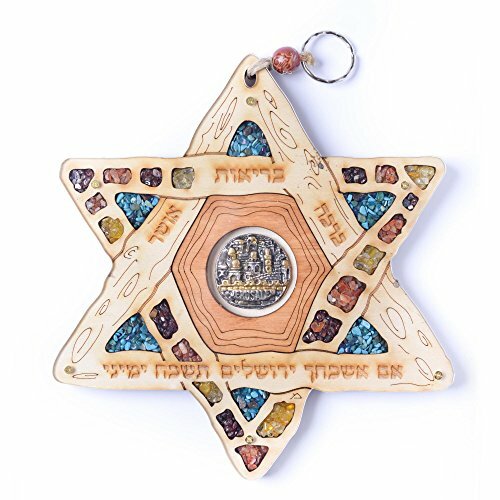 Beautiful Mother Of Pearl Pendant Star Of David Illustration Handmade Clear Coating Over The Whole Pendant So the Emblem Won't be Caught on Anything or similar Circumstance. Fit on every Necklace Original Item From Jerusalem Holy Land Israel. 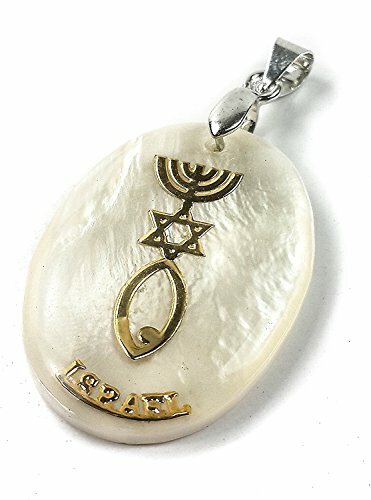 Natural Mother Of Pearl Pendant Golden Messianic Star Of David Menorah Fish Jerusalem Cross Illustration With SIlver Buckle Covered Clear Coating Over The Whole Pendant So the Emblem Won't be Caught on Anything Fit on every Necklace Original Handmade From Holy Land Israel. 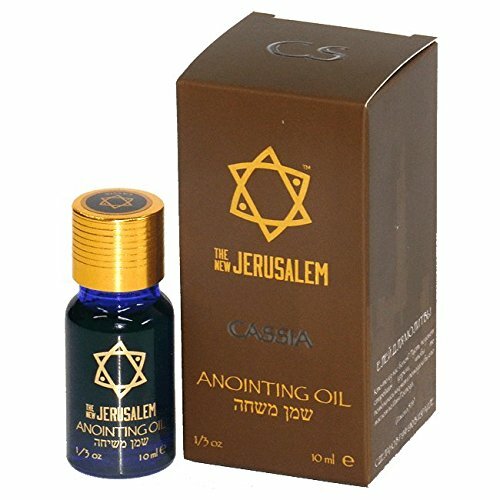 Hand crafted anointing oil from Israel using extra virgin olive oil made from the olive trees around Jerusalem. It has been scented by using biblical essential oils and fragrances sourced from the Middle and Far East. The bottle of the anointing oil has been dedicated to God and soaked in prayer before leaving our workshop and like all of our oil and fragrances it has been officially tested for quality. This is a lovely Star Of David (??? ????) shaped wooden wall hanging plaque. At the middle of the plaque there is a relief of old Jerusalem sky line. 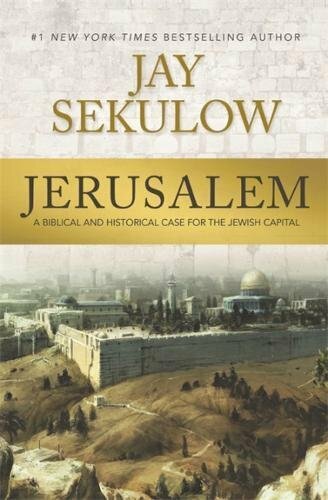 It is written in Hebrew health, bless, happiness and if I forget you Jerusalem O Jerusalem may my right hand forget. Handcrafted Wooden Plaque that would look fabulous in your own home or would make a wonderful, powerful and thoughtful gift to your love ones. It measure 18.5x16.5cm or 7.5"x6.5". The Star of David- is a six-pointed star made up of two triangles superimposed over each other. In Judaism it is often called theMagen David, which means the "shield of David" in Hebrew. It doesn't have any religious significance in Judaism but it is one of the symbols most commonly associated with the Jewish people. 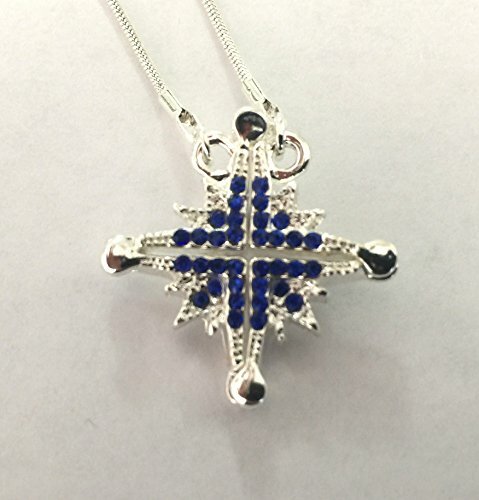 Many Jews wear jewelry with the Star of David as part of the design and the flag of Israel has a blue Star of David in the center. In many ways it has come to be a symbol of unity. 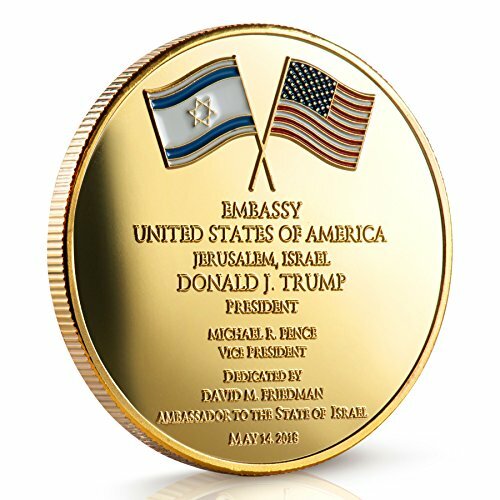 Embassy Timeline Congress passed the Jerusalem Embassy Act of 1995 recognizing Jerusalem as the capital of the State of Israel.On December 6th, 2017, President Trump recognized Jerusalem as Israel's capital and ordered planning for the relocation of the U.S. embassy.On May 14th, 2018, the United States Embassy officially relocated to Jerusalem to coincide with the 70th anniversary of the Israeli Declaration of Independence.